Some dogs may have aggression that does not occur on a consistent or predictable basis. There may be no reason or trigger for the aggression. Some dogs are simply not “wired” correctly. Many fighting breeds have been purposely bred for hundreds of years NOT to give any signal or prior warning prior to launching an attack. Many dogs of these breeds can have a high tolerance for annoyance, but a sub-set eventually reach a breaking point and lash out with no warning. 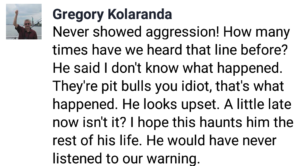 Every week, another owner sobs that their dog had “never shown a sign of aggression in its life” until it mauled a child, visitor, or the owner himself/herself. 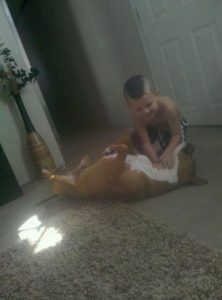 The fatal attack on a 6-year-old Union City boy by a pit bull mix this week is a textbook example for much of what both sides claim in the ever-heated discussion. On Monday, Nephi Selu was playing with his family’s 2-year-old, un-neutered male dog in the backyard of his Union City home – and apparently trying to climb onto the dog’s back – when suddenly the animal fatally bit him on the top of the head, police said. The dog, named Kava, had shown no previous signs of aggression but was euthanized Tuesday “after the family surrendered legal ownership,” said Union City police Cmdr. Ben Horner. 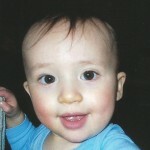 The case appears to be a “tragic accident,” he said. 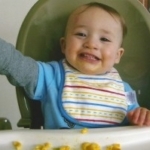 The boy had a mild form of autism and lived at the home with his mother, grandparents, aunt Iona Keanaaina and her husband, Keala Keanaaina, and the couple’s seven children. Keala Keanaaina is a former UC Berkeley football player who works as a San Mateo police officer. 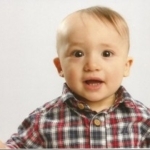 The Santa Clara County medical examiner will conduct an autopsy to officially determine the cause of Nephi’s death. Benjamin Hart, professor emeritus at the UC Davis School of Veterinary Medicine and an animal behaviorist, said he wasn’t surprised by Iona Keanaaina’s assessment of Kava. 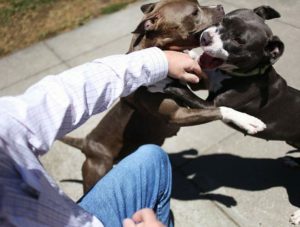 “The reality is that dog bites, up to and including fatal maulings, are a complex public-health problem. 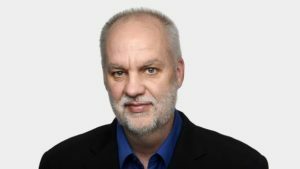 There are an estimated 500,000 dog bites a year in Canada, and three-quarters of the victims are children under the age of 10. But pit bulls and related breeds – and let’s not be distracted by picayune debates about precise definition – are different. They often attack without warning and relentlessly. Ms. Vadnais was sitting by her pool when she was attacked by a pit bull that snuck through a hole in the fence. The dog virtually chewed her leg off and had to be shot so paramedics could approach her mutilated body. Bred for violence, these dogs can wreck a neighborhood’s quality of life as surely as prostitutes or drug dealers. The pit bull’s unusual breeding history has produced some bizarre behavioral traits, de- scribed by The Economist’s science editor in an article published a few years ago, at the peak of a heated British controversy over dangerous dogs that saw the pit bull banned in England. First, the pit bull is quicker to anger than most dogs, probably due to the breed’s unusually high level of the neurotransmitter L-tyrosine. 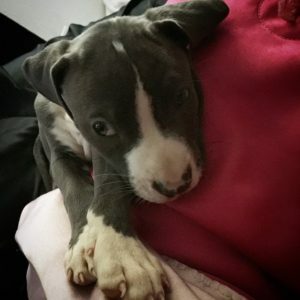 Second, pit bulls are frighteningly tenacious; their attacks frequently last for 15 minutes or longer, and nothing—hoses, violent blows or kicks—can easily stop them. That’s because of the third behavioral anomaly: the breed’s remarkable insensitivity to pain. Most dogs beaten in a fight will submit the next time they see the victor. Not a defeated pit bull, who will tear into his onetime vanquisher. This, too, has to do with brain chemistry. The body releases endorphins as a natural painkiller. Pit bulls seem extra-sensitive to endorphins and may generate higher levels of the chemical than other dogs. Endorphins are also addictive: “The dogs may be junkies, seeking pain so they can get the endorphin buzz they crave,” The Economist suggests. Finally, most dogs warn you before they attack, growling or barking to tell you how angry they are—”so they don’t have to fight,” ASPCA advisor and animal geneticist Stephen Zawistowski stresses. Not the pit bull, which attacks without warning. Most dogs, too, will bow to signal that they want to frolic. Again, not the pit bull, which may follow an apparently playful bow with a lethal assault. In short, contrary to the writings of Vicki Hearne, a well-known essayist on animals who—in a bizarre but emotionally charged confusion—equates breed-specific laws against pit bulls as a kind of “racist propaganda,” the pit bull is a breed apart. Dogs have been artificially selected over thousands of years to exhibit all sorts of physical and behavioral attributes that we now classify as individual breeds. We know dogs that were bred for retrieving birds tend to have soft palates, and will instinctively retrieve pretty much anything you throw. Other breeds that have been bred for herding purposes will often instinctively herd to the point where many breeders will warn that the dogs may be prone to herding smaller children or other animals in the house. 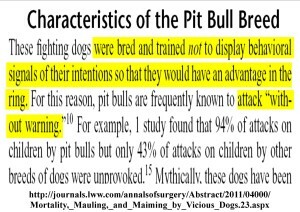 So why is it so hard to admit that certain breeds were bred for exhibiting a higher prey drive, aggression and to attack without warning? In responding to media writing about Dunnill’s story, Dog Tales commented that while their hearts go out to Dunnill and his family they also felt for Brownie: “Not a day goes by that we don’t think of Brownie — a sweet, lazy, senior dog who was loved dearly by our staff and volunteers.” The insistence on labeling a dog that had brutally killed another dog as sweet and lazy is not only an appalling display of ignorance and insensitivity but exhibits a particular willful blindness that tends to be present in the vast majority of pit bull advocates. What is the nature of pitbull dog? How would it make sense that breeders of other types of dogs to spent hundreds of years breeding OUT certain personality traits, and not make sense that the opposite can be done? Now before I get the inevitable backlash of comments from people like my former self, I feel you should know that I understand. I understand that many pit bull lovers don’t want to believe what I now know to be the truth, and they won’t until they experience it first hand. With that , I hope they never do know the truth like I do now. I hope they never have to go through what I did. I wouldn’t wish this on my worst enemy. Chappie turned my world, that revolves around dogs in every way, upside down, inside out, and into another dimension. Everything I’ve whole heartedly believed about dogs was wrong, I was wrong, I was ignorant , and I could’ve killed one of my kids or other dogs with my negligence had they been in the way when Chappie displaced his aggression. I want pitbull advocates that are reading this to understand that I sought the advice of numerous professionals , including a local pit lady, who is the best of the best when it comes to dealing with aggression. The decision to put Chappie down was the only responsible choice. You cannot rehabilitate unprovoked , unpredictable aggression, especially in a dog that will displace on a human, especially in a dog that will displace on their own human. It is not common, and it is not the dogs fault. But for any knowledgeable dog person to say that aggression in pit bulls is not a possible trait is very ignorant. How can anyone believe that a breed of dog bred specifically to attack, fight and kill other dogs for hundreds of years can simply have that trait loved or bred out of them? 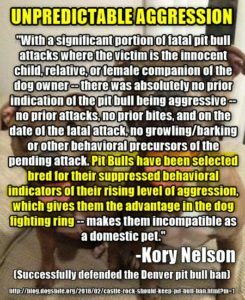 You would have to discredit the breeding of every responsible breeder for the last few thousand years, the breeding that they’ve done to selectively remove certain traits from their lines , just as pit bulls have had aggression selectively bred in. How could I have ever ignored that? How was I ever so ignorant? I will always love pitbulls. But I will never own another. I will never judge or shame the owners of dogs who have done bad things. I don’t know them, I don’t know if that dog came from a long line of fighting champions . I honestly can’t even argue BSL anymore, most pitbull breeders are idiots who do it for the wrong reasons, and until responsible breeders take on the task of spending a few hundred years removing aggression from the breed , I can never defend them indefinitely like I ignorantly used to. I will always understand that dogs are indeed individuals. But just as I have my moms green eyes, it is a fact, that some pit bulls will have their ancestors aggression. A woman is brain dead after being attacked by two dogs on Saturday morning. A pit bull and pit bull mix mauled Melissa Barnes in the backyard of a property on Love Lane and tonight, the 65-year-old remains on life support in Billings until her organs can be donated. Barnes owned the property where the attack took place. The property has multiple rentals on it and the dogs belonged to a renter. The dogs have been put down. They were taken to the Montana Department of Livestock’s Veterinary Diagnostic Lab, which does animal necropsies for rabies. The lab just happens to be on MSU property, but it is not part of MSU, according to university officials. Wayne Bartlett, the owner of the dogs, was not home at the time of the attack. Bartlett said his niece was at the home with his girlfriend’s two young children and the children went outside without permission to talk to Barnes just before the attack happened. Bartlett said the dogs were well-trained pets and had never shown aggressive behavior before. 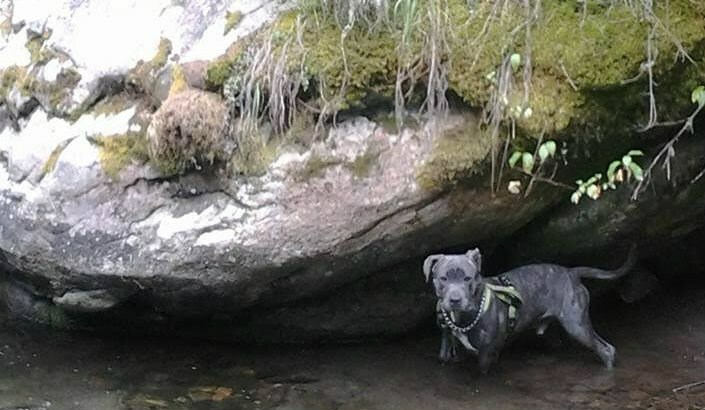 Gallatin County Sheriff Brian Gootkin said during a press conference on Monday that the investigation is continuing, and they do not yet know if the owner of the dogs will face any criminal charges. Gootkin said the woman doing yard work at the time of the attack. The APBT is of medium intelligence, and it is athletic. They have plenty of energy and exuberance for life. 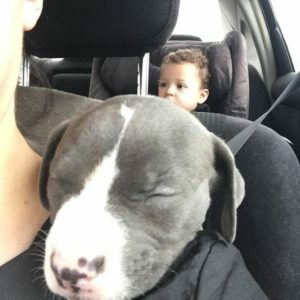 They are affectionate companions are often referred to as a “nanny dog”, which leads many families to believe that they are suitable companions for children. 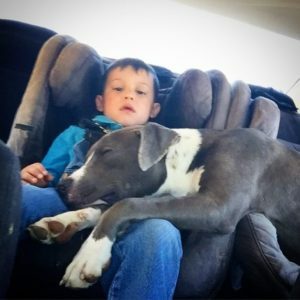 Many can live happily with children and never have an issue, but there are many cases of the family pit bull suddenly attacking or killing a child in the household. 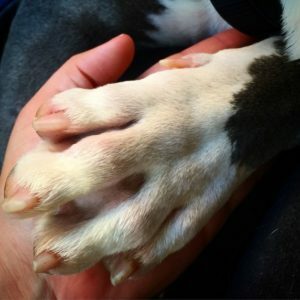 The Pit Bull advocacy group BADRAP recently retracted their original “nanny dog” statements (https://www.facebook.com/BADRAP.org/posts/10151460774472399)13. As of March 6th, 2017, pit bulls have killed 208 children since 1980. Most of these children were killed by family pet pit bulls that had never been neglected or abused and had always loved the child. As with all breeds, the traits needed for their original tasks remain in the dogs – in this case, the sudden explosive aggression that was necessary to survive in the fighting pit. An APBT may never show this aggression, but if it does there will be no warning and the attack will not be easy to stop. Extreme caution should always be taken when this breed interacts with children. They are fun loving dogs that have “clownish” behaviors. Despite, their many positive qualities, this breed may not be suitable for everyone. Their high energy requires a family that can accommodate and appreciate this aspect of their personality. They usually do best with active families. 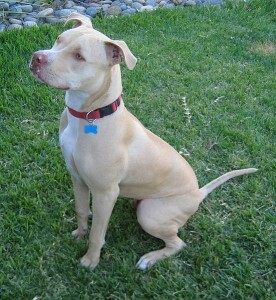 Many American Pit Bull Terriers get calmer as they age and an older dog may work for a more reserved family. Yesterday, I was walking my sweet, kind border collie. A full grown pit jumped out of a truck window and immediately started sprinting, ears back and low toward me and my dog. It was so fast, but I managed at the last second to grab its upper trunk (no collar or leash) and sit on its head. That wasn’t enough as it had already grabbed on to my dog’s throat and she was hollering from the pain. The rope collar on my dog combined with my efforts to squash the pit certainly helped, but I could feel the pit beneath me getting a deeper grip on my dog’s throat. The owner had rushed over and somehow managed to free his dog from the vice grip on my dog’s neck. No more than one or two seconds later, and it would have all been over. He was deeply apologetic and gave me his contact info. freely to cover any damages. Miraculously, my dog will live without any repercussions. But, his dog is a killer. It never attacked before (I truly believe him). But now, his dog is a KILLER. That cannot be educated out of his brain. Will it be a dog or a child? That is the only question. The best of human intentions to keep his dog sequestered, given enough time and human error, this is a time bomb waiting to explode. Given the freedom to choose, will he do the right thing for society’s sake at the cost of his own heart and loss? I hope to Jesus you reported the incident to the police &/ animal control. If not, you are partially responsible for whatever the dog tries to kill next. Today I had the unpleasant experience of breaking up a fight between two pit bulls. They were not my dogs. Rather, I was driving up my street pass their yard, only to see two dogs trying to kill one another. At first, I thought that they were playing. Not so. The dogs’ “owner,” a twelve-year-old girl, was in the backyard with the dogs, horrified by what she saw and screaming for help. I stopped my car, just a few houses away from my own, and told the girl to get into the house and call 911, and that I would be right back. One dog had the other by the head. It refused to let go, even as I bashed its head with a shovel. I remembered that I had pepper spray in the car, and sprayed the dog directly in its eyes, knowing that this would be the only way to separate them. The owner (the young girl’s parent, who finally arrived home) did not thank me. Rather, she tried to convince me that she knew her dogs and pit bulls better than me, a veterinarian, who has sewn up canine victim after victim. All dogs have teeth and all dogs can bite. But a Chihuahua cannot inflict that damage that a pit bull can. And shelters are full of pit bulls. Don’t try to convince me that this is breed that can be trusted. I would never own one and I don’t think that they should be bred. Not a comment – a question. I am studying pit bulls and would like to read the reference you refer to as #10. However, I don’t see a list of references (with citations) on this website. Can you provide the citing information for #10? Thank you! Which “#10” are you referring to?